Tuesday 7.25am – Moral is high on board and crew is pushing hard. ARTIE is approx. 20/25km off San Vito Lo capo. Boat speed is just over 7 knots and still leading their group. A bit later on, as ARTIE rounds the North Western tip of Sicily and heads towards the next check point of Favignana, winds should pick up a bit. 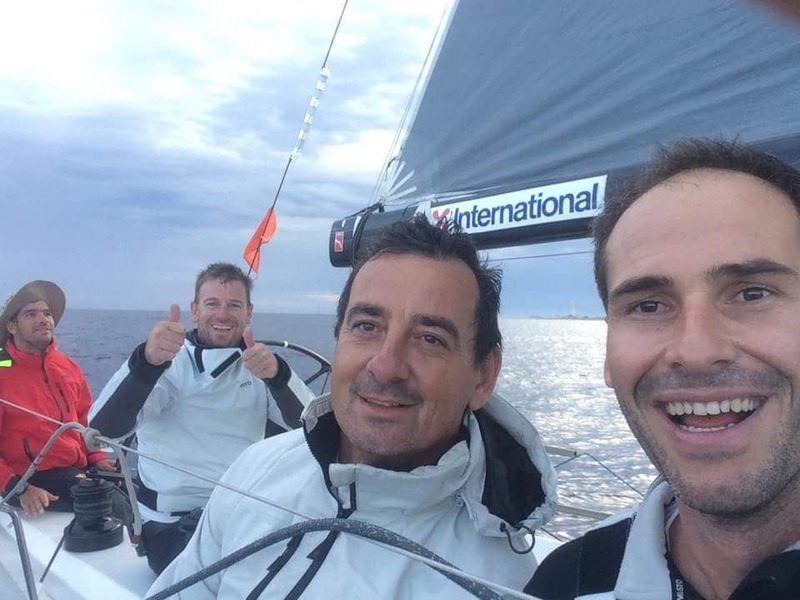 This entry was posted in Day Four and tagged Artie, rolex middle sea race. Bookmark the permalink. Great pic guys. Looks like you’re enjoying yourselves!